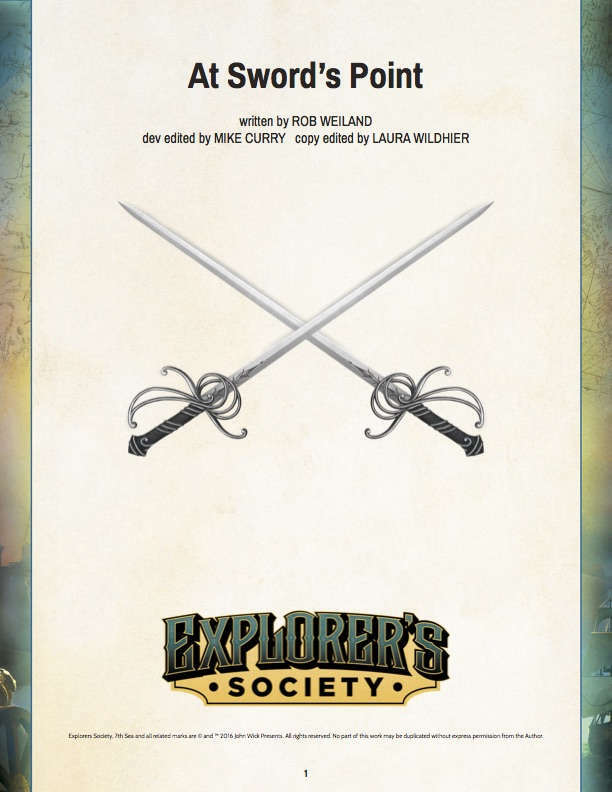 The Swordsman’s Guild (7th Sea: 1st Edition) remains one of the most sought-after books from the original publishing run of 7th Sea. It told the story of the creation of the guild, helped clear up some of the rules of the legality of duels and collected all of the Swordsman Schools that were part of the guild into one book for easy reference and comparison. Fans of the older edition of the game will find a few favorites here, and those new to the game will hopefully find more options for characters that decide to join the Duelist’s Guild. We’ve also included short rules for those games that wish to see a bit of difference in the variety of weapons available to Duelists.